I bought as gifts for Christmas and ordered 4 of them. 2 arrived damaged and I called customer service and they were so pleasant and helpful and sent me replacements within a couple days. They are small but very pretty and I am very happy with the purchase. This was a gift for my neighbor, who recently lossed her husband. She said it was beautiful and made of good quality . I'm so glad I found this. Very nice and exactly what I wanted to honor my deceased parents and brother. I ordered two.one is broke,but I don't want to spend seven dollars to return it.I am out of monet for one. Family Members. This one was just Perfect for Damien. 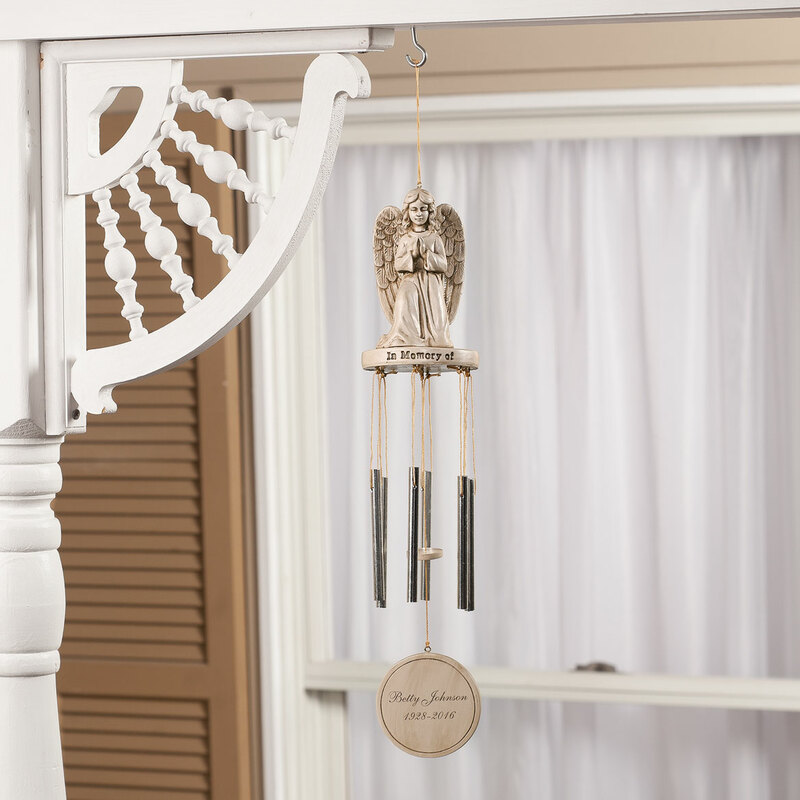 I just wish there was enough room for his middle Initial A.
I ordered this wind chime in memory of our son. for someone that lost their son. i feel an angel will watch over her. Perfect to keep a loved one close. 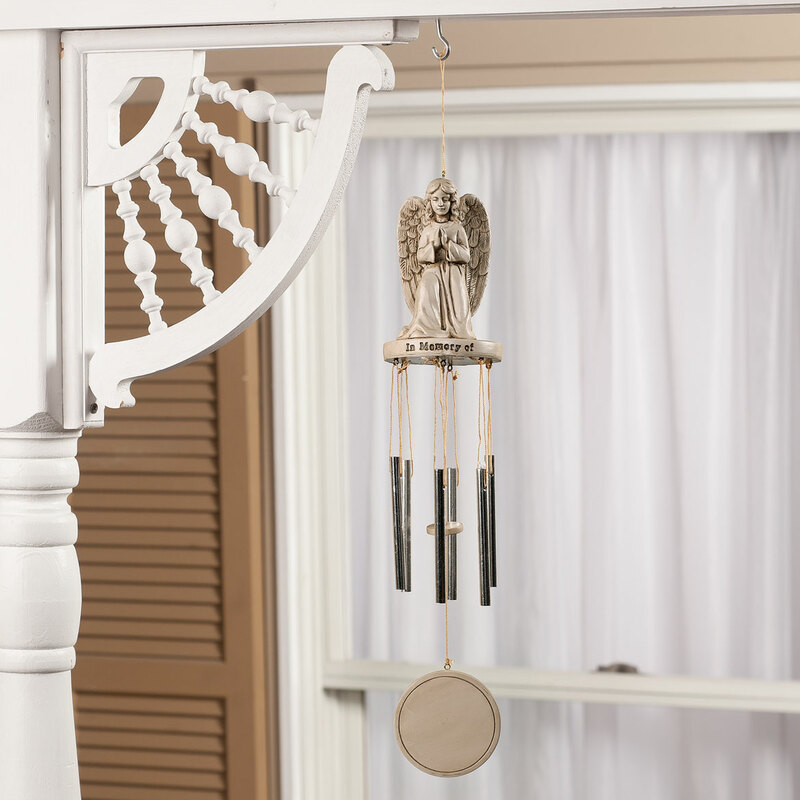 I have never seen this kind of wind chime before and ordered for my daughter. It looks awesome. 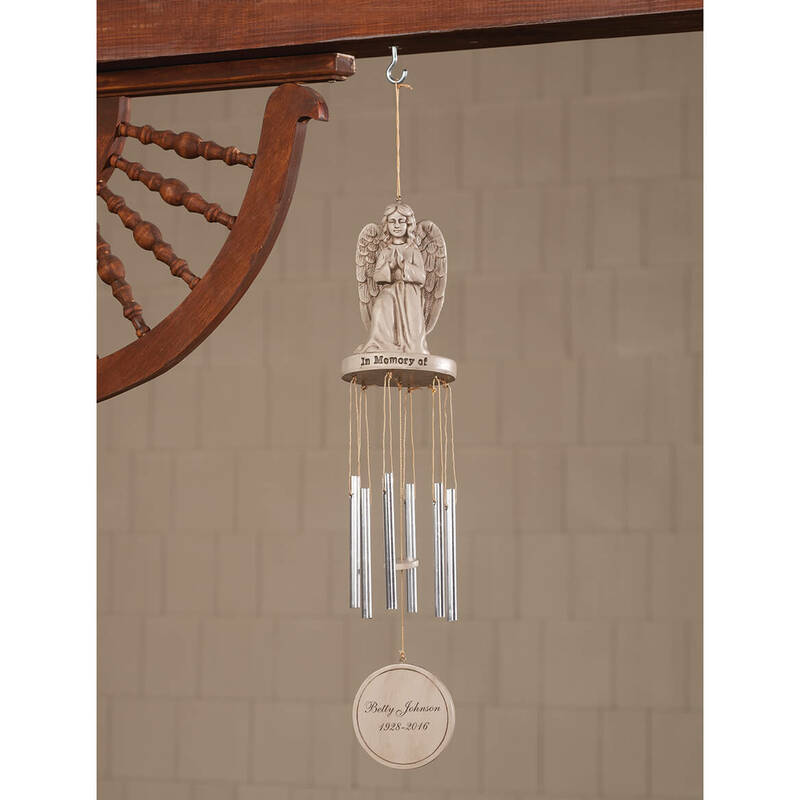 A friend who lives in Texas called to tell me about this windchime because my cousin had lost her husband and she knew I wanted to give her something in memory of her husband. She gave me your website and it was easy for me to locate this item to order it. Thank you. For Grandson who passed away at the age of 23 yrs. 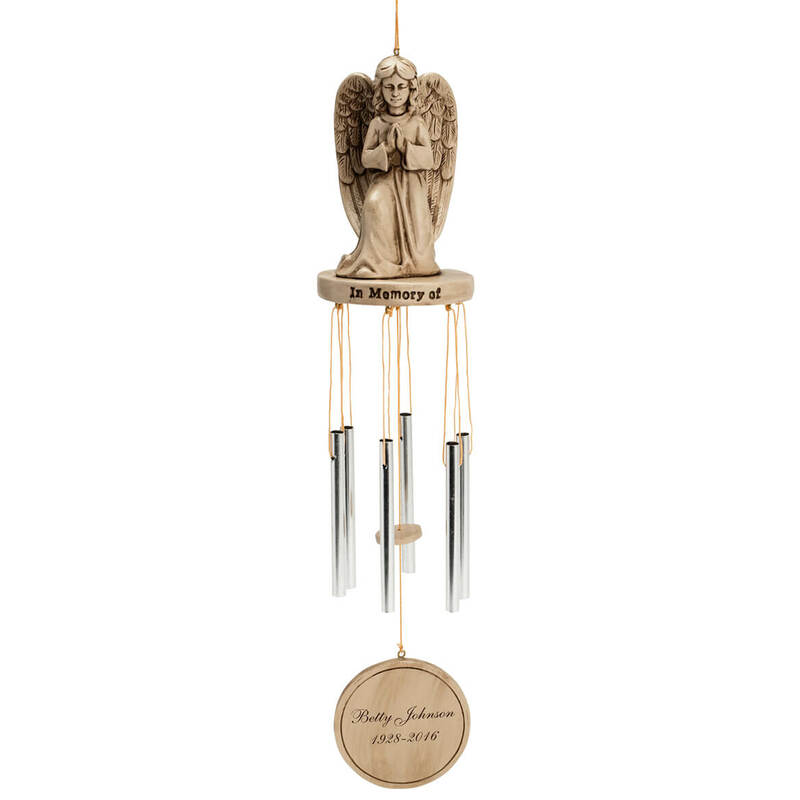 When ever it chimes, I will think of my mom. As a present for my mom. I lost both parents can you put front one name and back another? BEST ANSWER: Thank you for your question. We can only personalize what is available in the character limit. We hope this information will be of help to you. 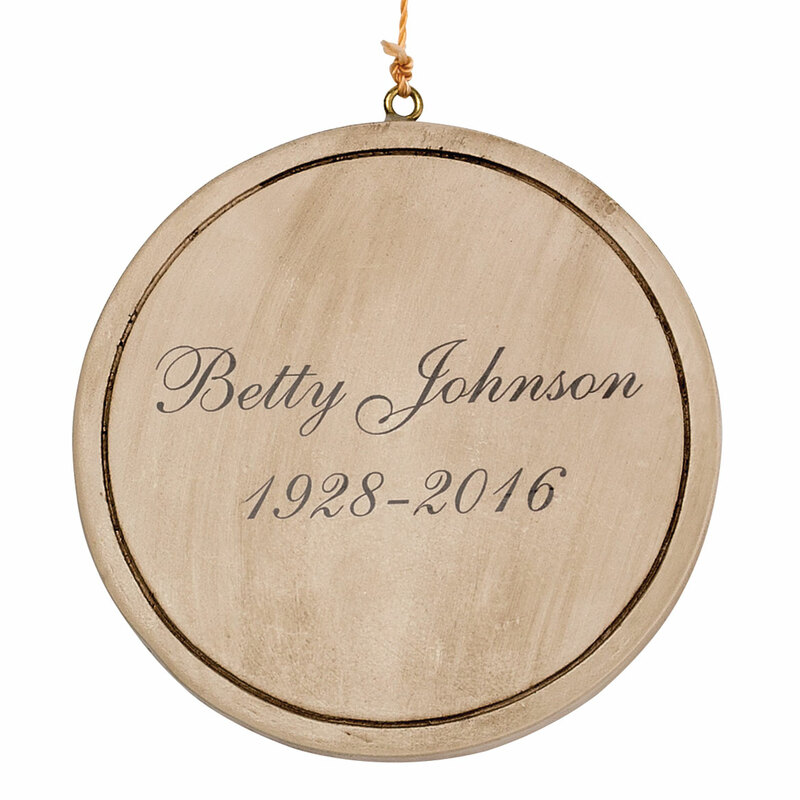 We got one of these in memory of my husbands parents, we had to put both names on the one side as I don't think it gave me the option to put one on the front and one on the back. Try adding both their names & not the dates. What is the over-all length?